Australian Karen Foundation co-founder Andrew Flint recounts how discounted Aussie computers and donated software have become the dream makers at the heart of an amazing story in an interview with Connecting Up. Every year on the Thai-Myanmar border 80 nervous young scholars gather for one of the world’s most inspiring graduation ceremonies. As they wait quietly to take the stage, watched by emotional, moist-eyed parents who comprehend the enormity of their achievement more than they will for some years to come, the group of young Karen refugees could be any class, anywhere. 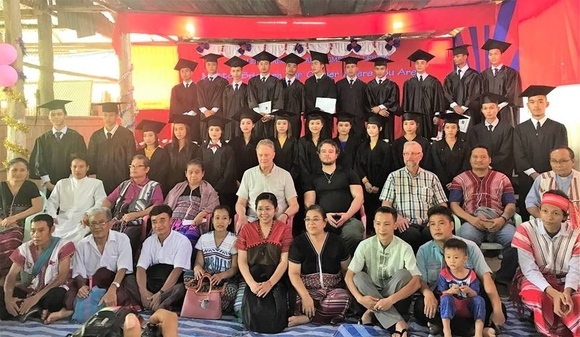 But their graduation ceremony, in the sprawling Mae La refugee camp in Thailand, is one of the greatest examples of the triumph of the human spirit you are every likely to hear about. As they accept their certificates, this special group of graduands are a beacon of hope for more than 45,000 of their fellow refugees; a shining example of what can be achieved even by stateless young people who have never known life beyond a refugee camp. Back in their classrooms, near a steep hill overlooking the camp, some fairly innocuous refurbished Australian computers await the arrival of the next group of young people. Sourced by the Australian Karen Foundation through the Australian not-for-profit technology provider Connecting Up over the past 12 years because they were the only machines they could afford; these humble Aussie computers have become the dream makers at the heart of an amazing story. It’s a story of how a trickle of technology can create a flood of hope, of how determined young refugees can overcome obstacles that most of us could never imagine, and of how even a small group of like-minded people with the right technology can change the world. Back in Melbourne, Andrew Flint, co-founder of the Australian Karen Foundation, speaks softly as he explains the transformational impact of discounted computers and donated software more than 8,000 kilometres away. Asked to describe the Mae La refugee camp, he talks of hustle and bustle, of sweat and tears, of hope and despair … and of a school with an open playground, and a basketball ring at one end that is an oasis to the camp. “No, not an oasis … a beacon”, he corrects. Faced with a speculative query about whether the school might still achieve great things without the help of a few discounted Australian computers, Flint, who delivered the most recent batch of technology to the camp in July, is unequivocal. “No, without computers the school wouldn’t exist. They are absolutely essential,” he responds. Flint describes how one graduate, in spite of being stateless, managed to get a passport and is now teaching in Hong Kong. “It’s the most astounding story,” Flint says. After 12 years, Flint and his colleagues at the Australian Karen Foundation could be forgiven for taking a step back from their enormous commitment, but they are firmly fixed on future projects. And with 5,000 Karen refugees settled in Australia and the continuing need in the Mae La camp, there is much still to be done, he says. One initiative will see the Australian Karen Foundation use the increased internet bandwidth available in the camp to give the camp’s population access to the huge number of free courses available through the philanthropic Khan Academy. Another will see Flint and his colleagues use the internet to connect volunteer English language conversationalists in Australia with students in Mae La. As the interview nears its end, Flint is keen to talk about the importance of his organisation’s partnership with Connecting Up, and of the impact of Connecting Up’s donated and discounted technology partners. Refurbished computer discounts partner RebootIT and software donor Microsoft merit special mention as he describes the importance of re-using technology, and even more importantly, of fostering a continued culture of giving within Australian society. “I’d really like this to be a success story for Connecting Up,” he adds. In spite of his organisation’s success in helping other people with technology, Flint confides that the time commitment has come at the cost of the Australian Karen Foundation’s own website. That’s something he would now like to address, with the help of an expert volunteer. “We’ve been so focused on helping people in Thailand and Australia that we haven’t managed to find the time to work on our own website,” he says. Connecting Up is a not-for-profit organisation. Our purpose is to help fellow not for profits leverage the digital world to positively impact their communities. The digital world is expanding beyond IT software-hardware and digital marketing to new innovative service delivery and measuring social impact. Connecting Up believe that not for profits with the right tools and skills can and do achieve great things for their communities. We have a long history of affordable software, hardware, educational events and group consulting. 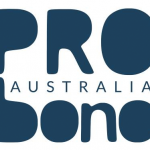 We partner with over 40 organisations to deliver high quality products and services specifically meeting the unique needs of the not-for-profit sector.